You might have already heard about Loapi - the Android malware which will kill your phone due to exhaustive bitcoin mining. 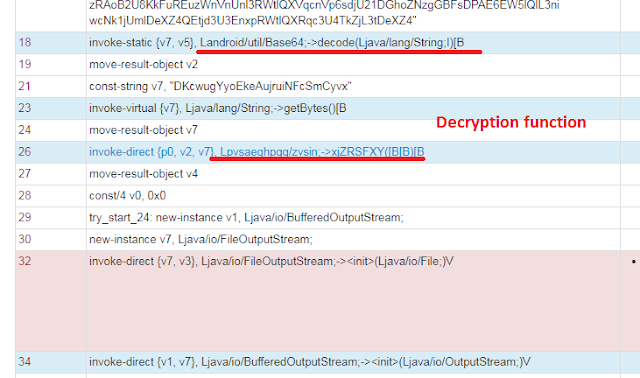 Loapi was found by Kaspersky, an excellent write-up can be found here: Jack of all trades. While Kaspersky's blog post gives a good overview, it does not provide a fine-grained analysis to deeply understand Loapi's behavior. Interesting forensic information, like Loapi's unpacking and obfuscation techniques being left out. 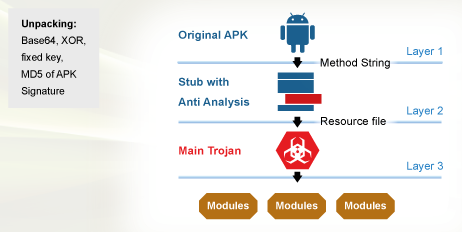 In our opinion, Loapi is one of the first Android trojans which uses multi-stage unpacking and dynamic code loading. 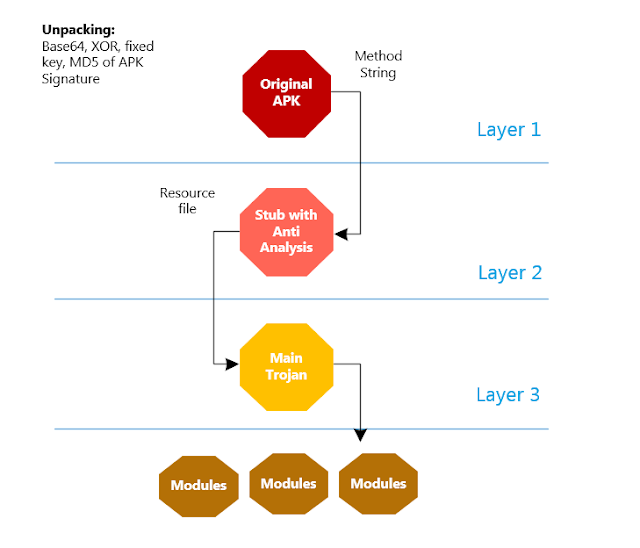 Therefore, this blog post is dedicated to explaining how unpacking works and also shortly outlining why Loapi is challenging to be dynamically analyzed - especially through instrumentation approaches. 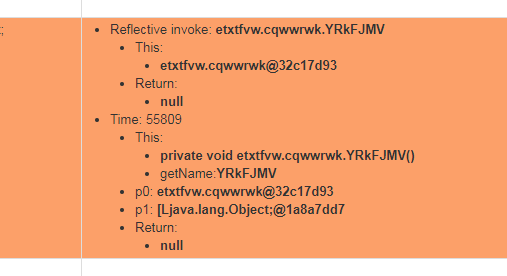 Next method etxtfvw.cqwwrwk.attachBaseContext is called via Java Reflection. Jave Reflection is super cool because it lets you dynamically call method during runtime. During static analysis, it is not clear what method is actually called. Unfortunately, we do not have any method with that name in the Joe Sandbox report. Why that? Because we first have to understand how static instrumentation works. 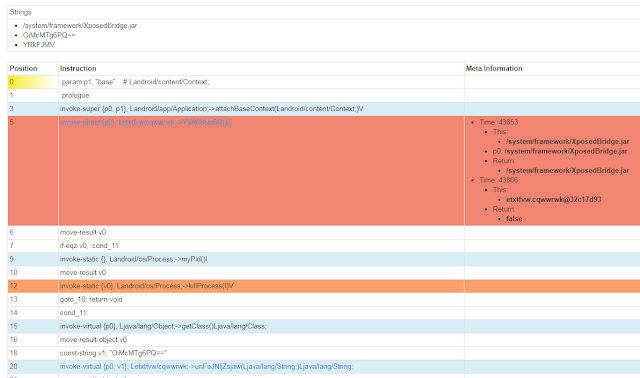 To problem with Loapi is that the modified APK is loading new code from itself - to be precise from a string in the APK code. Further, the string is encrypted, then decrypted at runtime and finally loaded. Due to that, no instrumentation takes place and the behavior of that code is fully hidden. So we added a dynamic instrumentation of DEX code. Pretty cool? Yes and, for Loapi this is really a necessity. 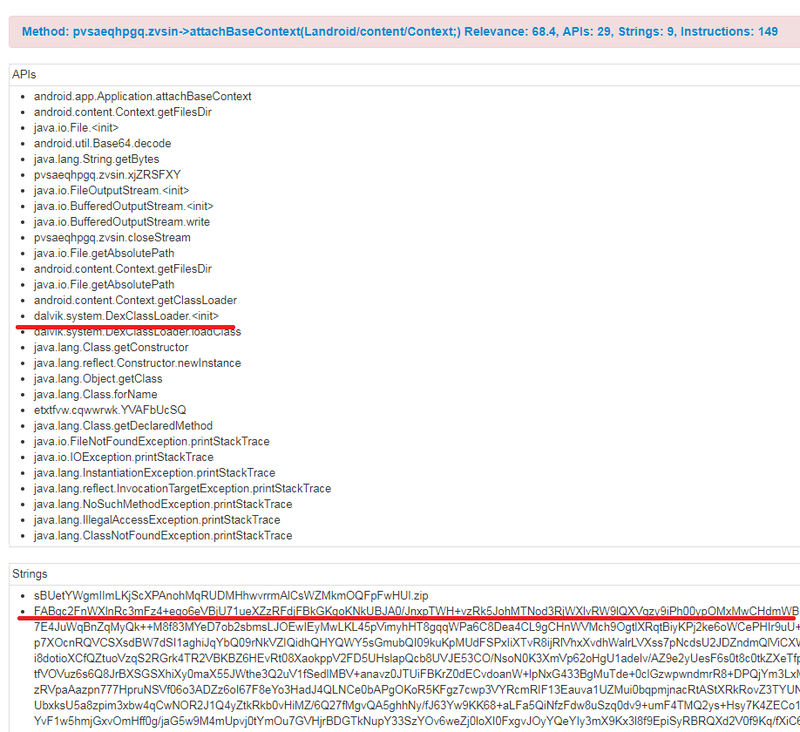 We can see an interesting String called /system/framework/XposedBridge.jar and some code to kill the current process. Anti Analysis? You are right. 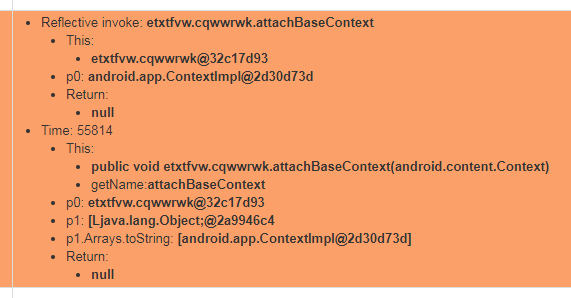 The Xposed Framework is used in CuckooDroid / Cuckoo Sandbox and likely also in some Checkpoint products. Loapi checks the stack trace for method names used by this hooking Framework. Loapi uses a multilayer unpacking approach to obfuscate its payload. It first decrypts a stub which contains an Anti-Analysis technique and the same stub will then decrypts the main trojan. 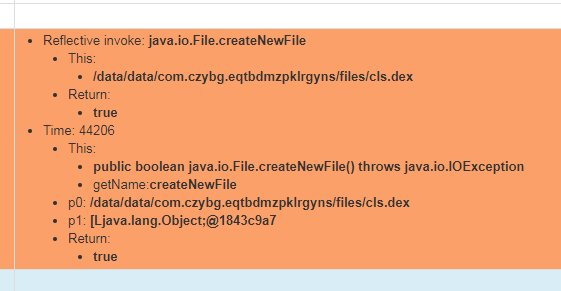 Loapi uses heavily string obfuscation and Java Reflection in the unpacker. All those approaches are well known for Windows malware and now are more and more transferred to Android. With dynamic instrumentation, Joe Sandbox Mobile can inspect, instrument and control any DEX code - loaded from a decrypted resource file or downloaded from the internet. For any DEX code, Joe Sandbox Mobile provides some deep content, including method calls, arguments, and other dynamic data. This provides a deep understanding of threats and a best in class malware detection. Interested in trying Joe Sandbox Mobile? Register for free at Joe Sandbox Cloud Basic or contact us for an in-depth technical demo! 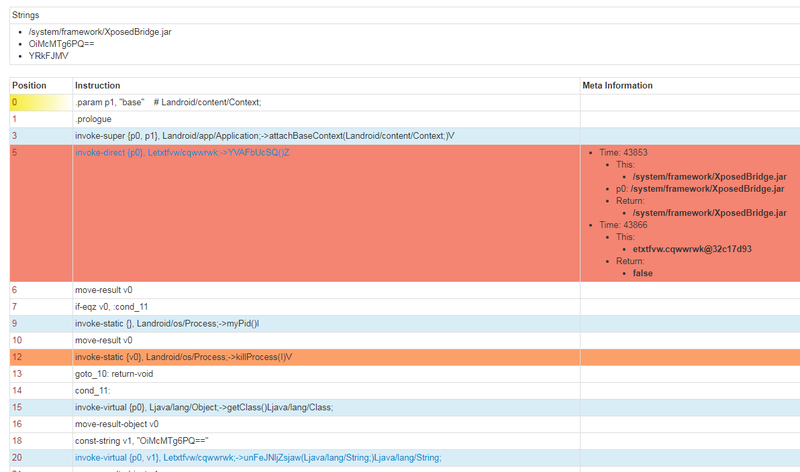 Full Joe Sandbox Analysis Repor of Loapi.